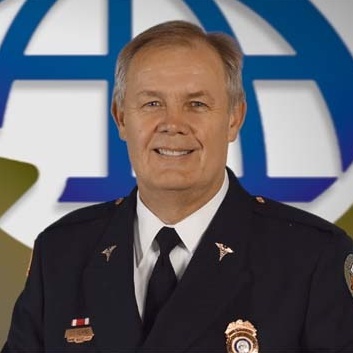 Chuck Kearns, MBA, Paramedic, A-EMD, is chief executive officer of Chatham Emergency Services in Savannah, Georgia. Chuck has been involved in public safety and EMS for over 30 years. Born in New York City, he began his career as a Florida open-water lifeguard in 1981, became Chief of the County Beach Patrol and was certified as an EMT two years later. He has spent much of his public safety career as a paramedic and EMS System Manager in Pinellas County, Fla., with Sunstar Paramedics. 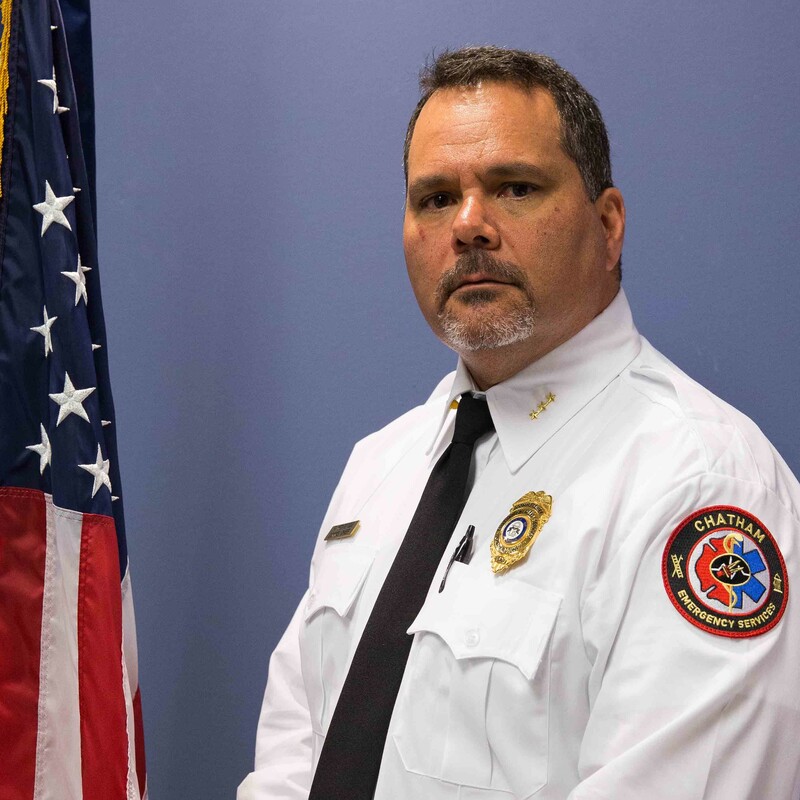 He rose to Director of Pinellas County Emergency and Public Safety Services (Fire Administration, EMS & EMS Communications Administrator), where he served over 11 years. He has also been certified as an Advanced Emergency Medical Dispatcher (A-EMD) for over 18 years and a rescue diver since 1989. Chuck has consulted widely and worked in several different public safety system models as a Chief Officer. He has worked in government, private, hospital-based, rural and volunteer public safety agencies, and in positions spanning from basic life support first responder to underwater search and rescue dive team leader, to Flight Paramedic. Chuck has deployed to numerous hurricane and wildfire disasters since 1992 and frequently staffed an Emergency Operations Center command desk during disaster activations. He has been involved in leadership positions of many EMS and emergency management organizations. He served as a site reviewer, standards revision project manager and board member for the Commission on Accreditation of Ambulance Services (CAAS). He also served two terms on the American Ambulance Association Board of Directors and was a member of the American College of Emergency Physicians (ACEP) Culture of Safety Steering Committee. He spent six years on the Board of the American Heart Association Florida-Puerto Rico Affiliate and has been a board member of two hospitals. Chuck is the recipient of many awards, including a Meritorious Service Award for wildfires mitigation from Florida’s Governor, the Florida EMS Lifetime Achievement Award, and a lifesaving award from former President Ronald Reagan for rescuing five people who were drowning. Chuck was appointed to two, four-year terms on the Florida EMS Advisory Council and served as its chairman. He was on the FEMA National Advisory Council and served on the editorial advisory board member for EMS World Magazine for 17 years. Chuck is a former, professional member of the National Association of EMS Physicians and served on two committees. He is a dynamic, dedicated and tireless advocate for first responders and issues affecting public safety. 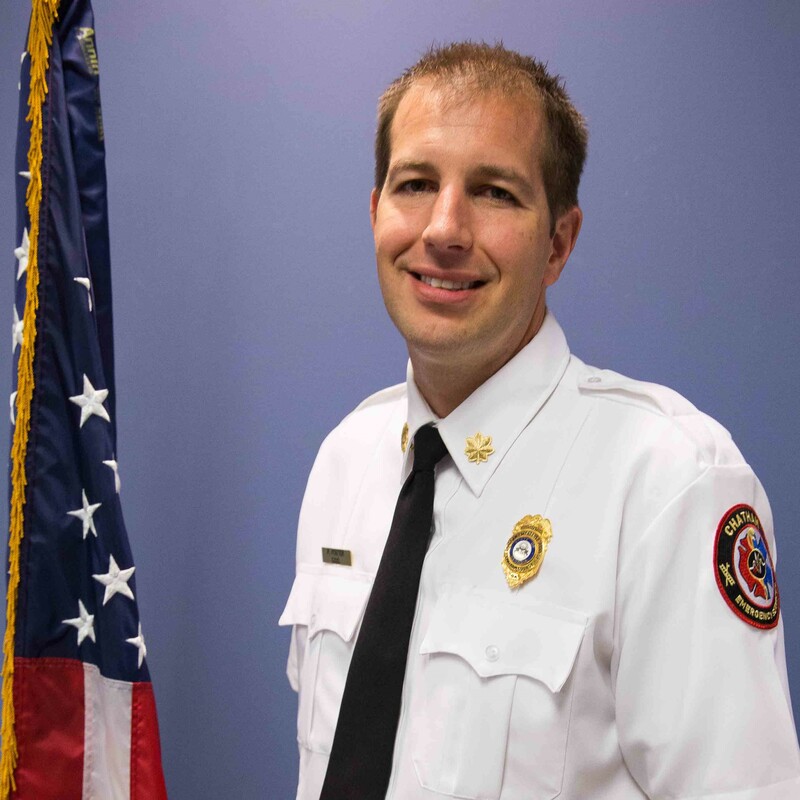 In addition to his EMS knowledge and experience, Chuck attended law school and holds an MBA degree in Marketing and Information Systems Management. COO Phil Koster began serving as a firefighter and paramedic more than 20 years ago. He is well versed in EMS system design, implementation, reimbursement, and management as he holds degrees in EMS and Business Administration. Before joining the Chatham Emergency Services team, he has worked for and lead multiple successful EMS systems in both rural and urban settings. He continues to lead by emphasizing excellence over accepting routine and driving improvements to better serve those who need us. He remains true to his roots and still functions as a paramedic and firefighter in addition to his administrative functions. Born and raised in a small rural community I grew up in the rural EMS setting. I began my emergency services career in 2002 by volunteering with my local volunteer fire department. I attended the local first responder program and obtained my GA certification as a firefighter. I attended EMT school in 2003 and began my career in EMS. In 2007 I became a paramedic and set out on obtaining my instructor licenses. I became a licensed EMS instructor in 2009. Today I remain a Nationally Registered Paramedic as well as a Licensed GA Paramedic. I am a Level 3 EMS Instructor and hold instructor certifications in ACLS, BLS, and PALS. I am also an instructor for PHTLS and ASLS. I have been certified as a Rescue specialist and served a term as Chief of Colquitt County Search and Rescue. I served 2 terms on the local City Council for the City of Berlin. Two of those years I served as the Mayor Pro Tempore. During my many years of service I have been privileged to work alongside some of the finest EMS / Fire personnel in the business. I have attended various academic institutions throughout my career, including Southern Regional Technical College and Abraham Baldwin Agricultural College. Today I continue to peruse higher education working to earn my Bachelor’s in EMS management. I came to Chatham County in late 2017 where I began work at Chatham Emergency Services as the EMS Training Officer. In my spare time I enjoy the outdoors. Fishing and hunting are among a few of the outdoor activities I enjoy. My wife and 4 children are my shining stars that keep me grounded and motivated to be the best person I can be. Because of them I strive to be a better father, husband, teacher, friend, and paramedic every day. My hope is that during my tenure here at Chatham Emergency Services I will be able to empower my staff with the clinical knowledge and confidence to achieve excellence every day! 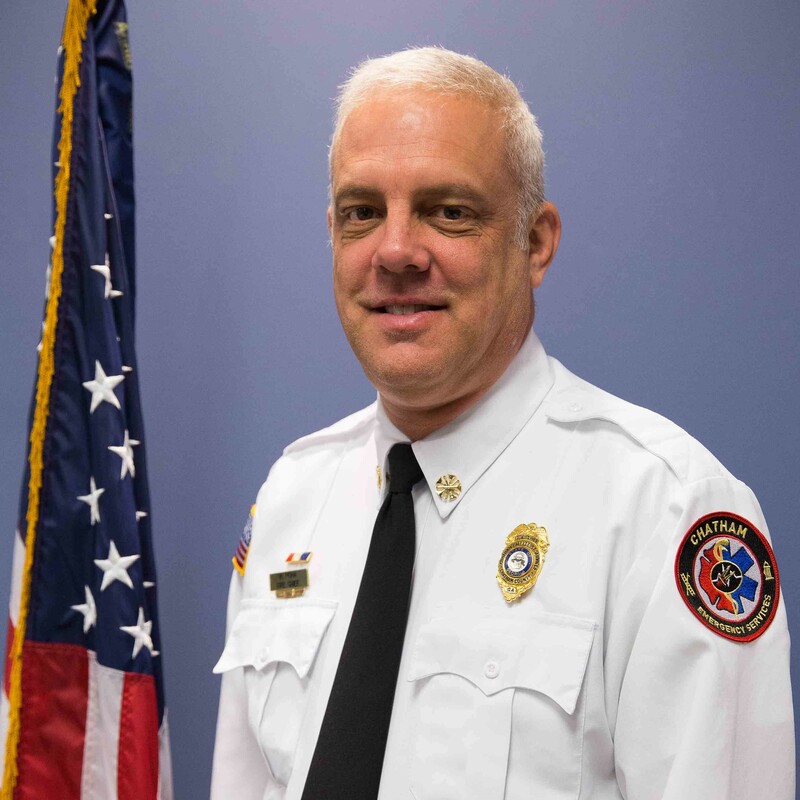 Chief Richard Montaudo began his career in 1985 as a Corpsman in the U.S. Navy stationed with the U.S. Marine Corps, which is where he began his career in EMS. Since then, his experience includes working as an FTO and as a CTO, as well as, a supervisor for several EMS, Private, County and State Agencies in communications. He has also been trained in Power Phone, National Academy of Emergency Medical Dispatch (NAEMD), The Associations of Public-Safety Communications Officials (APCO) and as a Communications Officer through the Georgia Peace Officer Standards and Training Council (POST). He is excited to be working for Chatham Emergency Services Communication team and will strive to make the team better each and every day. Deputy Chief of EMS Bengie Cowart started his public safety career over 30 years as a junior fire fighter in the small town of Guyton, Ga. I have advanced my career by becoming an EMT and then a paramedic and obtained my NPQ1 firefighter. I currently sit on the GAEMS Board of Directors as the President of the Providers Division. I also sit on the Region 9 EMS Council, Chatham County EMS Council, and both Chest Pain and Stroke councils at Candler/St. Joseph and Memorial. I still love riding the streets weather it’s on an Ambulance or Fire Apparatus caring for the citizens and property in our community. I continue to lead by example and instilling values and compassion to our employee’s so every day they can go out and make a difference in someone’s life. 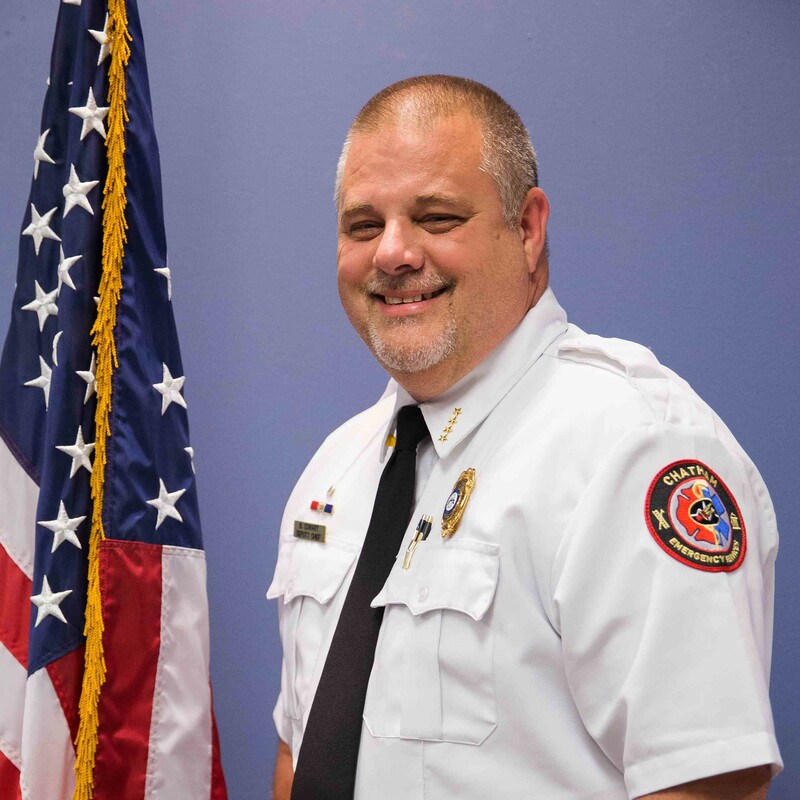 Wayne Noha is a 33-year veteran of the fire service beginning as a volunteer firefighter and rising through the ranks of Montgomery Fire Department before accepting the position as Fire Chief in Chatham County with Chatham Emergency Services. Prior to beginning his fire service career, he had a private housing and construction business which he still holds certification and is continuing his education as a working adult. He strives on recognizing the contributions of both volunteer and paid personnel as vital parts of Chatham Emergency Services. He is involved in many community organizations and civic clubs. 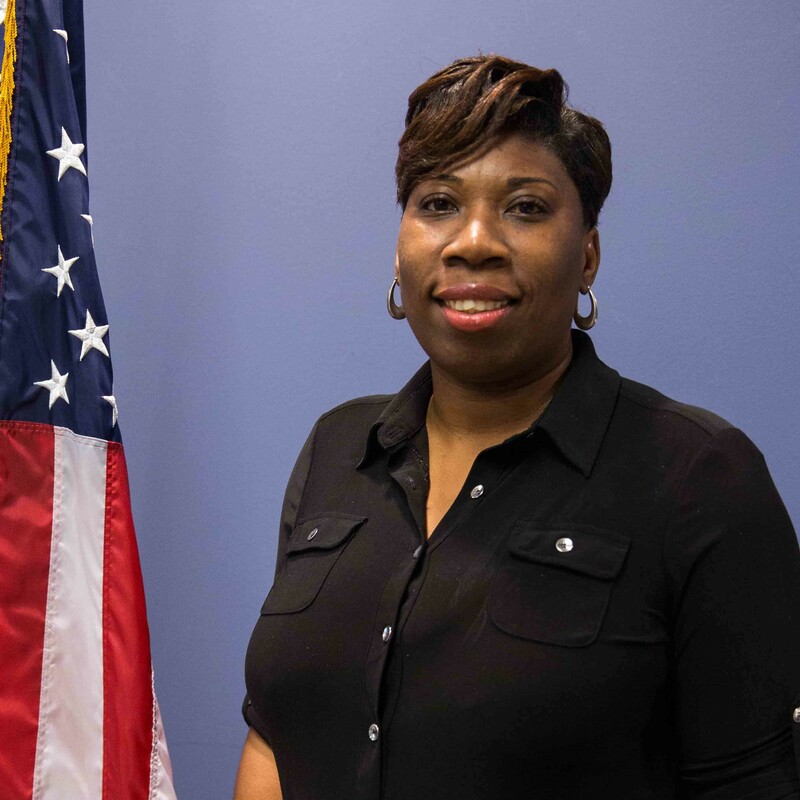 Nakeisha Jones is the Director of Finance and brings over 10 years of experience of financial accounting and management to Chatham Emergency Services. Nakeisha’s background is in banking, managerial and general ledger accounting. She holds a Bachelor of Business Administration degree in Finance from Georgia Southern University, and a Master of Accounting and Financial Management degree from Keller Graduate of Management. She strives to create an atmosphere of excellence and to ensure efficient and effective systems are in place to assist in building a thriving organization. 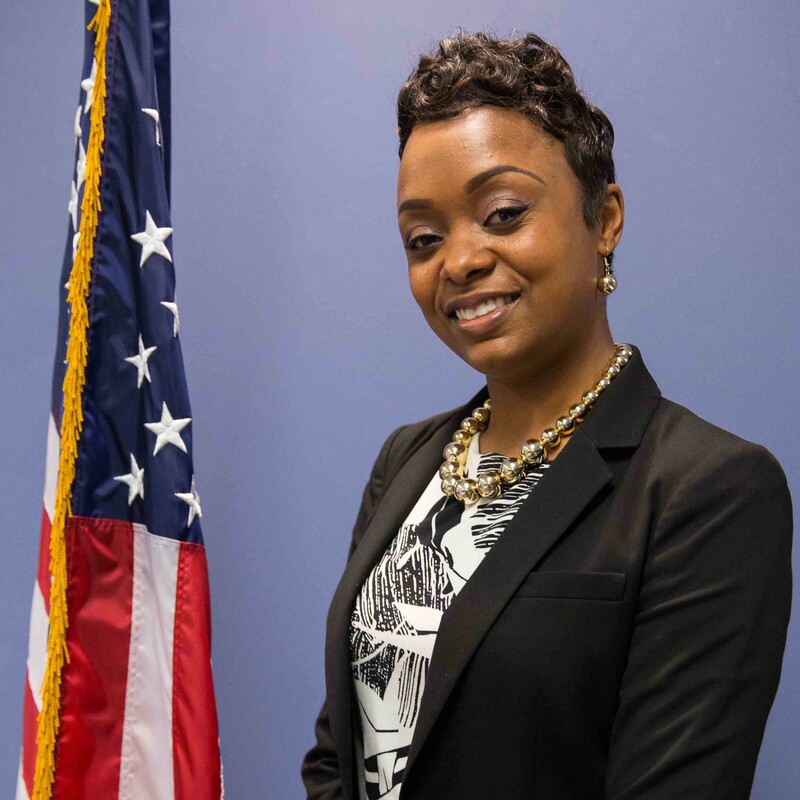 Tiffany D. Stewart is the Human Resource Director for Chatham Emergency Services. She joined the team back in 2006. Mrs. Stewart completed her Graduate Degree in Public Administration. Tiffany has worked in the Accounts Payable, EMS and Fire Collections Department. She has overseen the Human Resource, Payroll and Benefit Departments for the past four years. Aisha Butts is the Business Development Specialist and began her career in the healthcare field 14 years ago in respiratory therapy. Before joining the Chatham Emergency Services team, she has worked for one of the major hospitals in Savannah as a case manager and an emergency department technician. Aisha holds a Bachelor of Science degree in Community Health from Georgia Southern University, an Associate of Science Degree in Respiratory Therapy, and a Master of Business Administration degree from Walden University. She is focused on providing excellent customer services and expanding EMS services. IT Captain Richard Brumbalow began his career in EMS in 2000 at Grady EMS as an EMT and later as a dispatcher. Since then his experience includes dispatch supervisor, Deputy Director, and Deputy Chief of Communications and Information Technology. He is continuing to advance in his career and is currently working on a Bachelor of Information Technology degree. Richard started his employment with Chatham Emergency Services as the IT Captain in June 2018 and brings much experience with him as an EMT-I, EMD, EMD-Q, and CAC.